Every time a published scientific research study challenges the conventional wisdom, news organizations and bloggers ratchet up the volume and jump to conclusions that the study does not justify. That's what happened when doctors at the Fred Hutchinson Research Center in Seattle published a paper entitled ‘Plasma Phospholipid and Prostate Cancer Risk in the SELECT Trial’ in the Journal of the National Cancer Institute in July of 2013. Maggie Fox of NBC news quoted Dr. Theodore Brasky of the Ohio State University Medical Center, one of the scientists involved in the study, as saying, ‘These fish oil supplements in which some men getting mega, mega doses…in our opinion that is probably a little bit dangerous’. But most of the news media at the time, with the major exception of Dr. Mark Hyman's contributions to the Huffington Post, didn't report the story accurately. The hullabaloo over fish oil supplements from the cancer study arose from the finding that men who had the highest levels of the polyunsaturated fatty acids DHA, EPA, and DPA, which happen to be found in fish oil, also had the highest risk of developing prostate cancer. The study also found that omega-6 essential fatty acids, like those found in GMO soybean and corn oils, were associated with lower risk of developing prostate cancer. 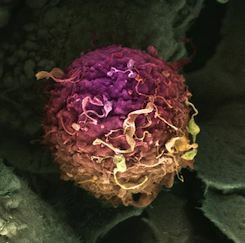 The study did not consider cancer risk in women, and it did not consider other kinds of cancer in men. The acronym SELECT in this study referred to the ‘Selenium and Vitamin E Cancer Prevention Trial’. The SELECT study wasn't originally a study of fish oil, or omega-3 essential fatty acids, at all. Only after the fact researchers noted some peculiarities in the risk of developing prostate cancer in men who had the highest bloodstream concentrations of omega-3 essential fatty acids. And because the scientists measured omega-3's such as DHA and EPA in the bloodstream, they did not have any way of knowing whether those essential fatty acids got into the bloodstream as the result of taking fish oil supplements or not. After all, Seattle is famous for its seafood, especially salmon. Maybe men in the study just happened to eat a lot of salmon. Or maybe they didn't. The scientists did not collect data Or maybe the real problem is some ocean-borne contamination, such as mercury or other heavy metals, that has found its way into fish eaten in Seattle. The scientists did not collect data. Or maybe the findings could be explained by smoking, obesity, stress or genetics. Again, the scientists did not make an effort to find out. They just found that higher levels of omega-3 essential fatty acids were associated with higher risk of prostate cancer in this particular group of men. Omega-3 essential fatty acids, like those found in both fish oil and krill oil, are essential to human health. We have to get them from food, because our bodies can't make them (although they can transform them from one form to another). But just because a nutrient is essential doesn't mean it can do its work if the rest of your diet is out of balance. 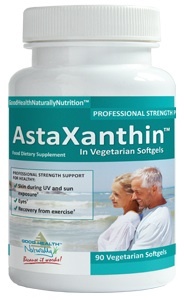 More than any other kind of fat, omega-3 essential fatty acids are vulnerable to attack by free radicals. If you don't get enough antioxidants in your diet, if you smoke and drink and are exposed to toxic chemicals, or if you eat too much of the pro-inflammatory omega-6 fats (the fats the scientists in this study found were inversely correlated with prostate cancer), these good fats can wind up burned for energy, along with other fats, or converted into a harmful form. Sure enough, another study was published in October of 2013 that found that omega-3 essential fatty acids reduce the risk of prostate cancer, when they are consumed along with a low-fat diet. This study found that it only takes 4 to 6 weeks for omega-3 essential fatty acids to reduce the production of inflammatory hormones that give cancer cells the power to form tumors and to ‘break out’ of the prostate into general circulation. And a study that will be published in December of 2013 (after this article is being written) will report that of all the various kinds of fat in the diet, fish oil fats do the most to correct the effects of high blood sugar levels (that result in high insulin levels) in the prostate. For omega-3's to do their work, they can't compete with other kinds of fat for entry into cells and for creation of hormones. As is mentioned elsewhere on this site, drinking alcohol within a few hours of taking omega-3 supplements or eating fish destroys their essential fatty acids. In the study referenced above, a ‘low fat’ diet turned out to be 15% fat, instead of the usual 40%. For many men, that is a drastic reduction in fat. Omega-3 fatty acid's are helpful, but they don't do all the work alone. You have to avoid excesses of other kinds of fat, and time your alcohol consumption so it does not interfere. 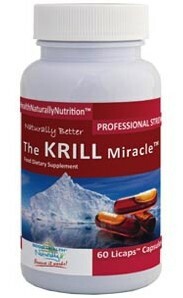 But What Does This Have to Do with Krill Oil? Omega-3 essential fatty acids are not just found in fish oil. They are even more abundant in krill oil. And your body is able to absorb all omega-3 fatty acids from krill oil, unlike it can with fish oils. But all these studies really tell us is that krill oil is effective as part of a lower-fat, higher-antioxidant healthy diet, too. And something else important you need to understand, is that NO clinical trial, study or research has found any harmful effect from taking krill oil (or any other marine sources omega-3 essential fatty acids), relating to any form of cancer.